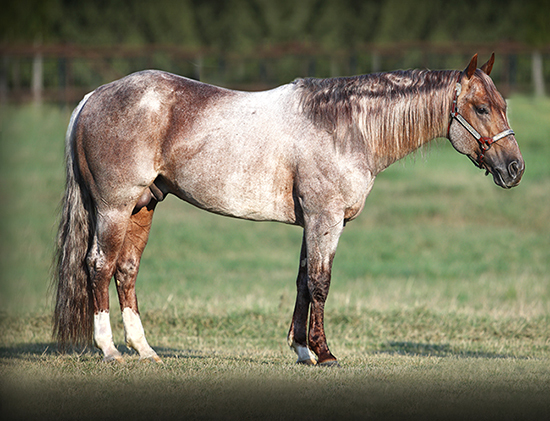 Metallic Cat has been gaining momentum as a sire ever since his first foals entered show pens across the country in 2013. With only four performing foal crops and the National Cutting Horse Association Futurity just around the corner, his offspring record now exceeds $10 million following the Southern Cutting Futurity and Idaho Reined Cow Horse Association Futurity. This is not the only milestone that he reached in quick fashion. “Denver” is by Equi-Stat Elite $73 Million Sire High Brow Cat and out of the Peptoboonsmal mare Chers Shadow. His $637,711 in earnings makes him the top performer on his dam’s produce record, and he is the highest-earning son of High Brow Cat. His first crop hit the By March 2014, his first crop had already earned more than $500,000. By that summer, he achieved Equi-Stat Elite $1 Million Sire status, making him only the second stallion accomplish the feat that early in his career. Less than a year later, his offspring record reached $3 million. The checks kept rolling in for horses sired by the 11-year-old stallion, who was bred by The Roan Rangers, of Weatherford, Texas, and just five months later, he reached the $5 million marker. As of November, his record included 375 money-earners with average earnings of $26,757. Because he has reached the $10 million milestone, and with his foals taking home both the Open and Reserve championships at last year’s NCHA Futurity, the Fultses feel that Denver’s success as a sire has been validated.